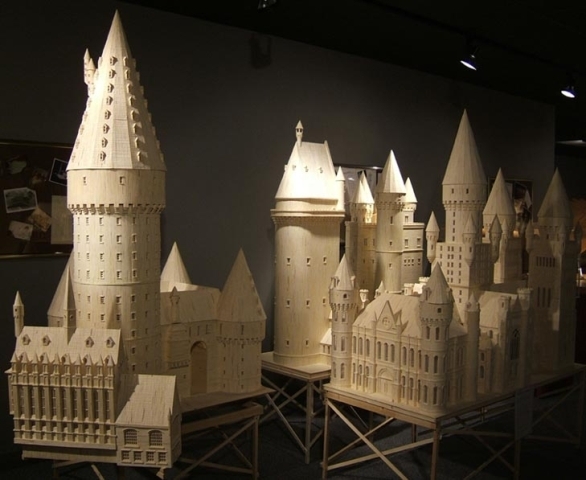 Matchstick Marvels took an enchanted trip to the world of Harry Potter when Hogwarts School of Witchcraft and Wizardry was brought to life with matchstick magic. 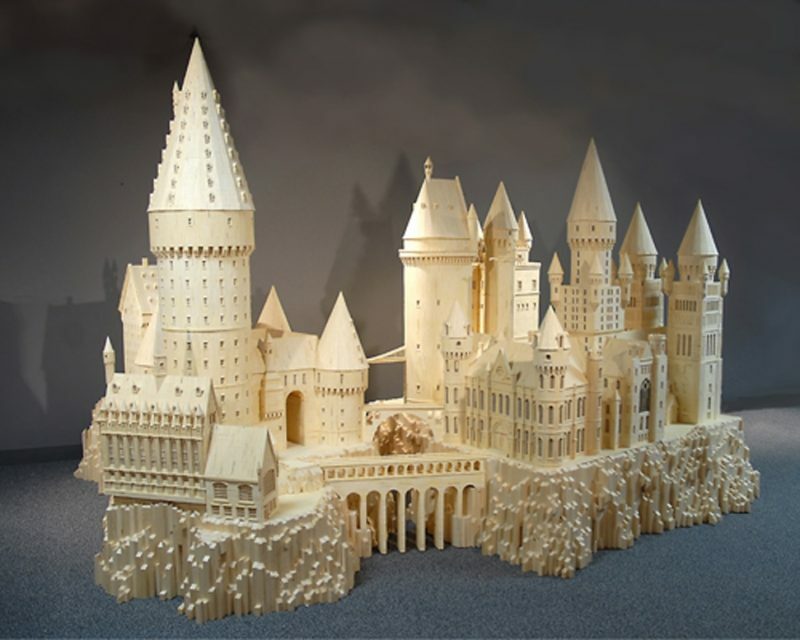 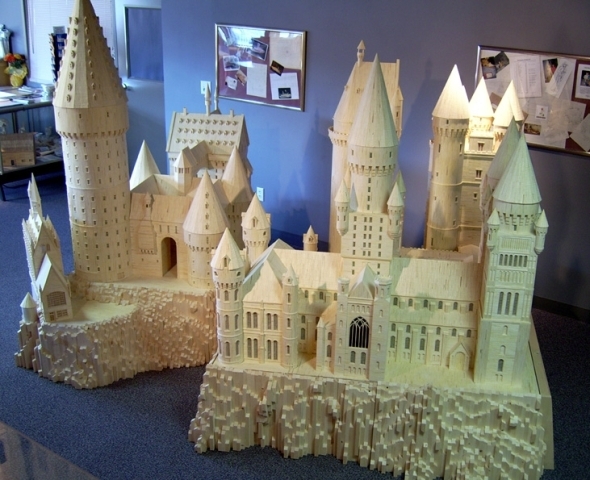 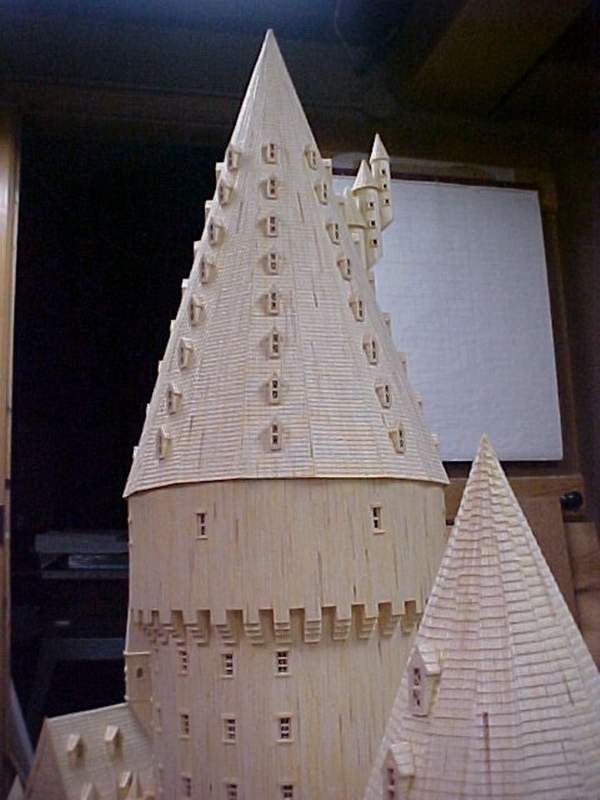 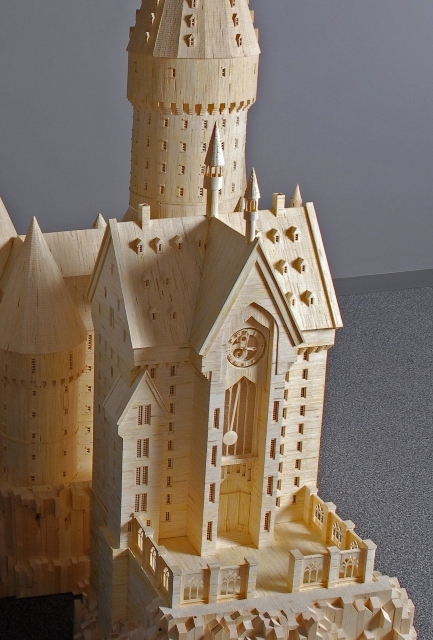 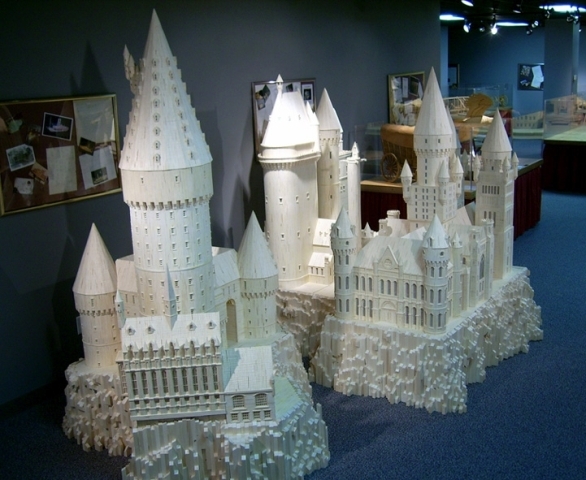 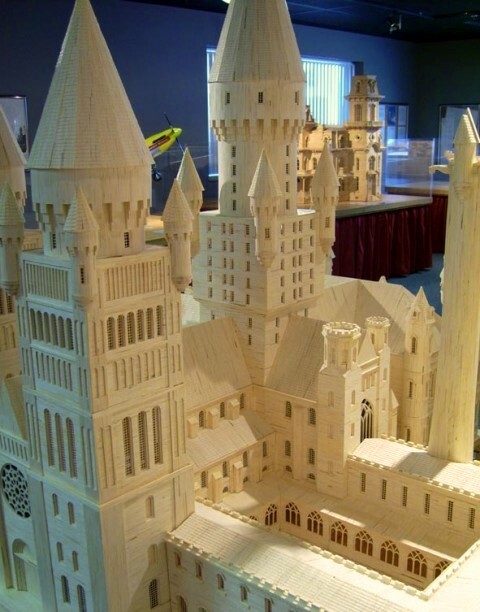 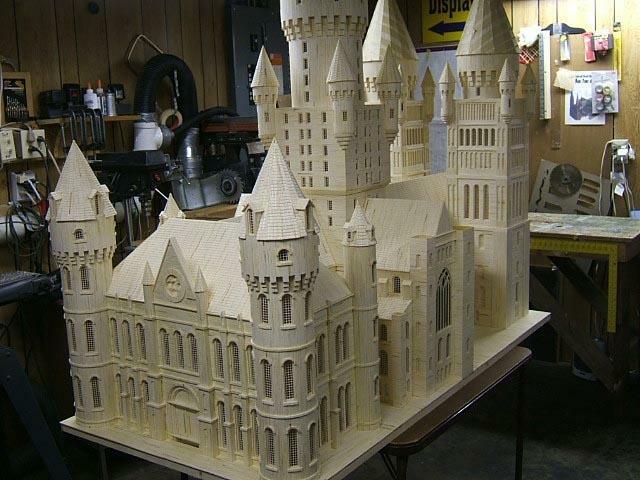 Based on J. K. Rowling’s wildly popular Harry Potter novel series, Acton’s version of the Hogwarts castle was completed in November of 2006 after nearly three years of construction that took 24 gallons of wood glue, and 602,000 matchsticks. 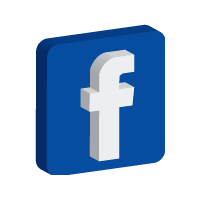 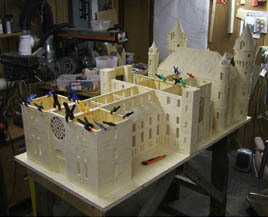 It was the largest matchstick model Acton has constructed when completed. 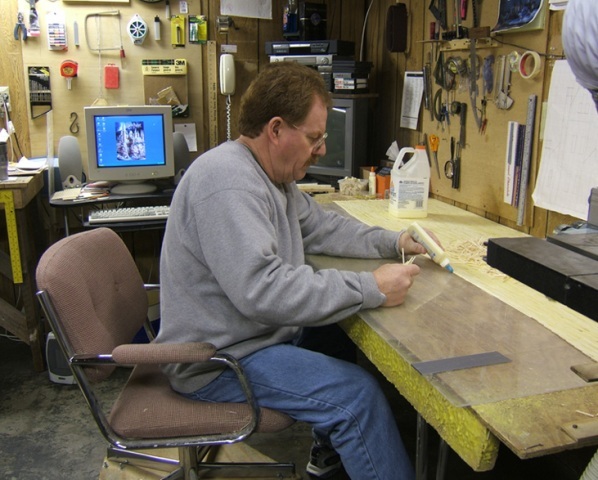 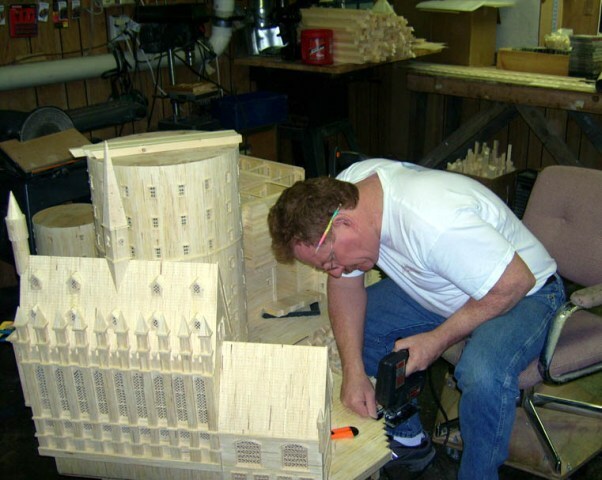 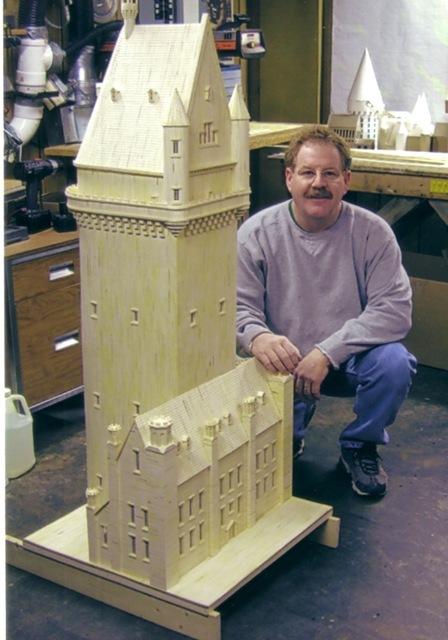 Initial planning for the matchstick model began in March of 2004 when Acton completed many technical drawings and built a small cardboard scale model of the castle to use as a guide during construction. 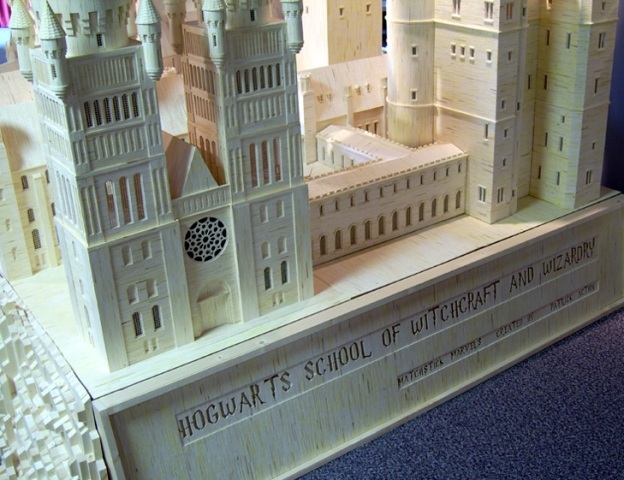 * All of Acton’s initial drawings were based on Michael Brammans’ incredible painting of fictional Hogwarts, An Owl’s Eye View). 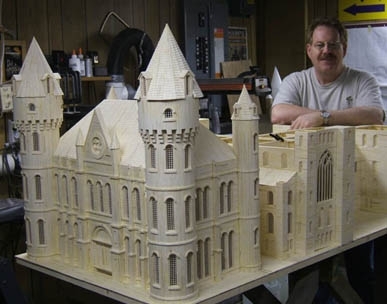 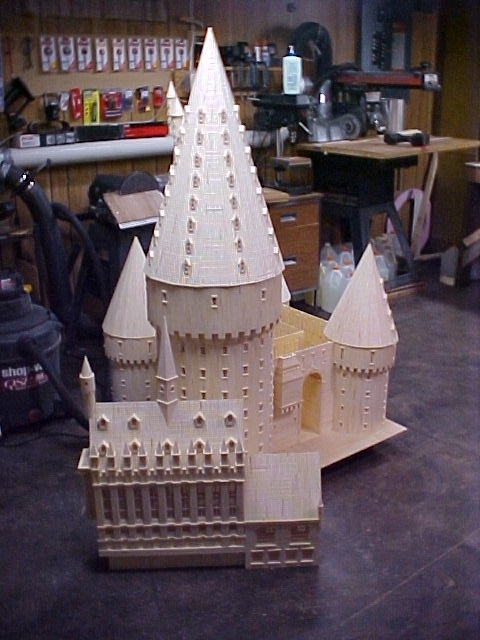 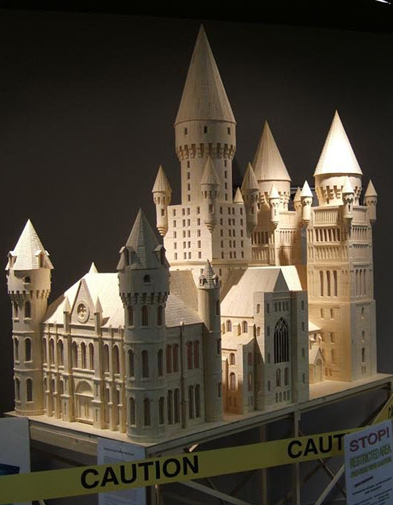 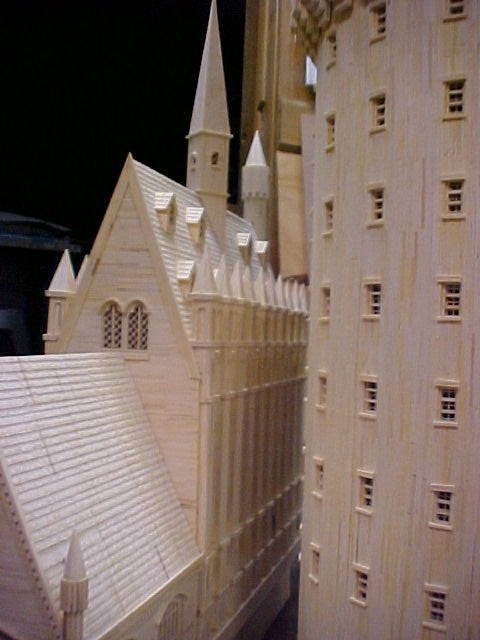 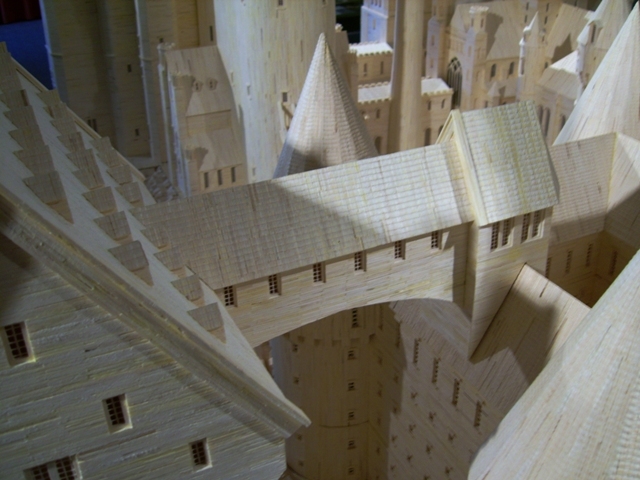 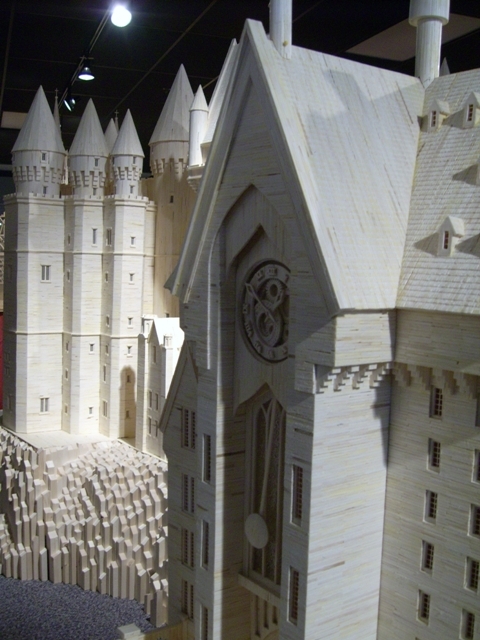 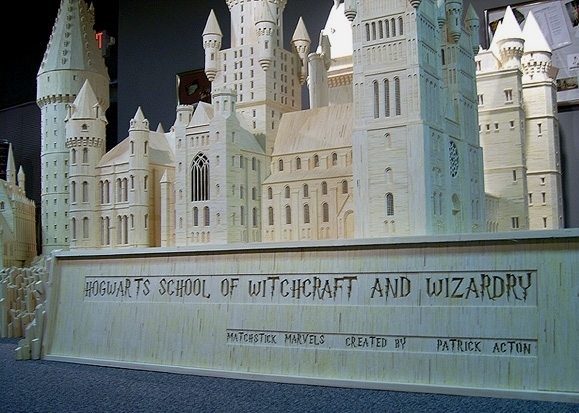 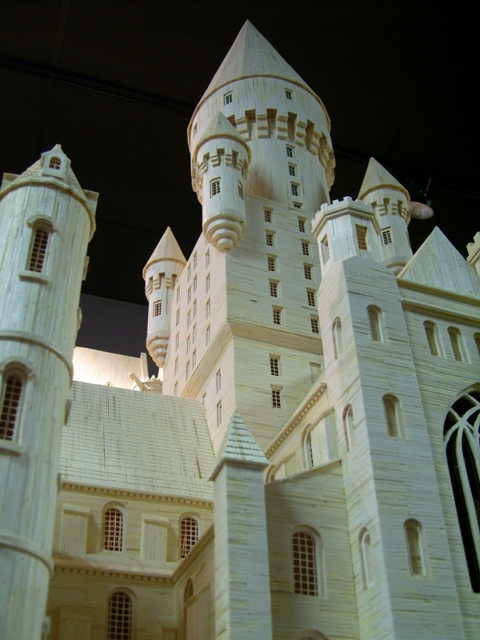 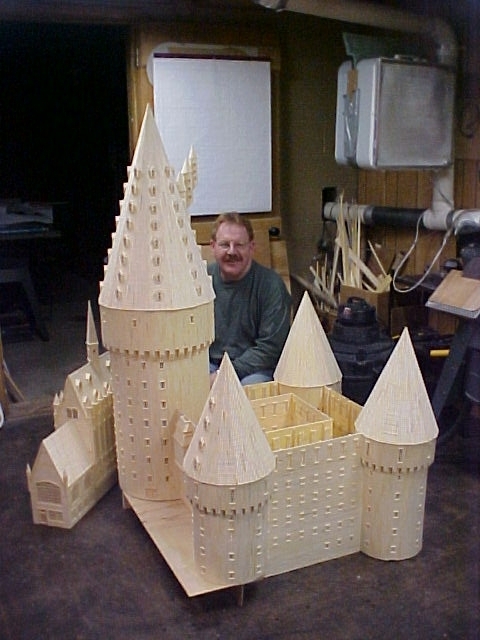 Acton had completed nearly all of the technical drawings used to build the matchstick model by the time actual construction of Hogwarts began in the fall of 2004. 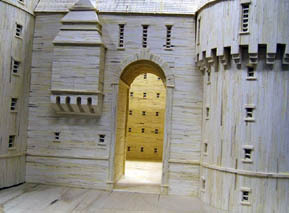 He did use other photographs later to assure he captured the finer details of the castle complex. 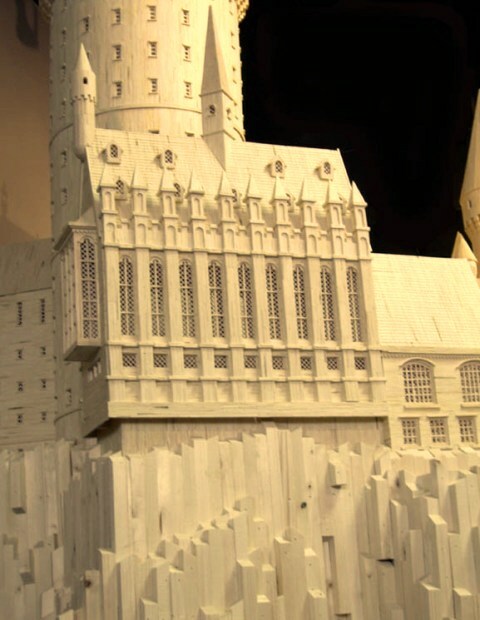 Also, the release of additional movies showed an ever changing and more complex Hogwarts as Hollywood artists added and enhanced the scope of Hogwarts buildings and grounds.